Barcelona have gone unusually off course and while many at the club will be livid at the transfer dealings of the club, in faraway West Africa, many consider it an indelible work of an infinite being. Kevin Prince Boateng to Barcelona? Unbelievable! If the move didn’t happen in his prime – which he dedicated fully to Max Allegri’s AC Milan, and to be fair on Boateng, Barcelona would have been a step too far at the time; yet, by some stroke of fate or if you believe in religion, faith, he completed a move to Barcelona. The same club he wasn’t good enough to join at his utmost best. The past two transfer windows have witnessed shocking moves, Eric Choupo-Moting to PSG stood out in the summer but even that isn’t as shocking as this. For some time, Barcelona has struggled to attract or retain ambitious or potential world-beating strikers solely due to the presence of Luis Suarez and Lionel Messi. It was worse when Neymar was still a ‘cule’. The South Americans want to play every minute of every game, such hunger that makes it almost impossible to rest them in the lesser games. It meant that a fourth choice striker would be a person that is comfortable with seating on the bench for a large chunk of every season. Although the departure of Neymar to PSG freed up some space, the multi-million signings of Ousmane Dembele and Phillipe Coutinho – two players who cost Barcelona around €250 million hasn’t made decision making easy for Ernesto Valverde. In search of the fourth striker following the departure of Munir El Haddadi to Sevilla this transfer window, Barca considered the option of signing Boateng on-loan. Boateng is an ultimate professional who understands his role, has played for nine clubs across four countries in 13 years, scored 10 league goals in his first season in La Liga, albeit for a relegation-battling Las Palmas and will not need a lot of time to fit into an unorganized Barcelona – the tenth team he will represent as a professional. Soon we will see where all these is heading, but Barcelona’s current transfer dealings is a far cry from what it used to be, an absolute disregard of the core values for which this institution which prides herself as “More than a club” has held dear for decades. Soon we will understand why the club let Thiago Alcantara go only to bring in Alex Song. Or why Marc Batra couldn’t cut it, yet Thomas Vermaelen and Matthieu could. 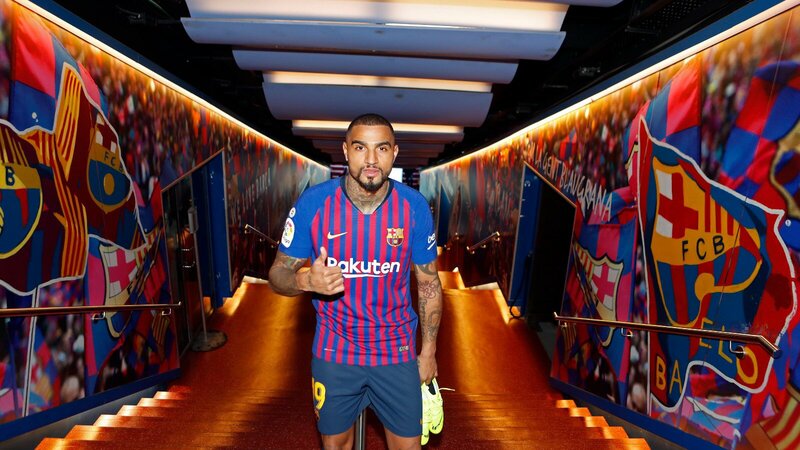 And why Paco Alcacer was let go only to be replaced by Kevin Prince Boateng.